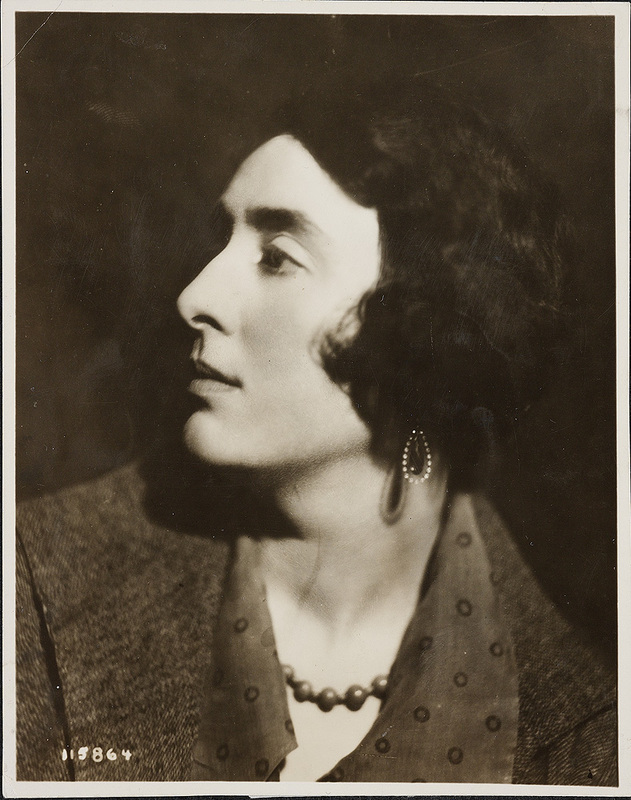 Vita Sackville-West (pictured here in 1926, born in 1892, and living until 1962) was a highly-regarded novelist (twice the winner of the Hawthornden Prize), not least for All Passion Spent (published in May 1931, a few weeks before her second stint as a judge). Her reputation as a writer has been rather overshadowed by her sexuality, the fame of her female lovers (Woolf, Trefusis) and by her open marriage with the equally bisexual Harold Nicholson. She is as much remembered for being the model for Woolf’s Orlando as for her own considerable body of work. She is also well-known for her work on the gardens at Sissinghurst – and was for a long time The Observer’s gardening correspondent. There is an extract from her reading of her long poem The Land’, recorded in 1931, here. You can also hear her talking about Virginia Woolf’s ‘Orlando’ here.